Homework is often a source of conflict between parents and children, teachers and children, and sometimes even parents and teachers. This workshop will encourage conversations between the teacher at your school that will result in better alignment of your school’s homework policies. Parents will benefit from this workshop by learning methods to help promote independence and time management skills in their children. The increase of communication between your school faculty and parents regarding homework will help increase the value of the work sent home. 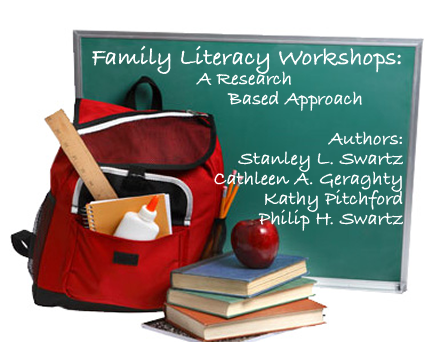 This workshop activity gives parents the opportunity to practice providing appropriate homework support to their child. This activity addresses Reading Comprehension, and Literary Response and Analysis by helping the child read a story and pay attention to key details within the text. This activity addresses Word Analysis, Fluency and Systematic Vocabulary Development, and Reading Comprehension by using parts of speech to complete a story. This activity addresses Word Analysis, Fluency and Systematic Vocabulary Development, and Reading Comprehension by using a word search to focus on content words obtained from a biographical piece of text. This activity addresses Writing Strategies, Writing Applications, and Written and Oral English Language Conventions as children write a persuasive essay on a given topic.